The Kill Fee had a few more well-rounded antagonists than The Jazz Files, which definitely rounded out the plot a little better. 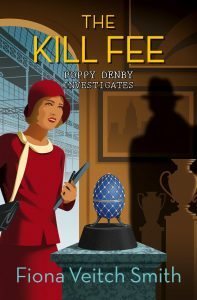 I did love learning about the term “kill fee”, but I would have liked that interesting fact to have had a greater impact on the plot. This installation has a good dose of Russian history, including the revolution that dethroned Tsar Nicholas II, that I found interesting and informative. I always like to learn something from historical fiction. I do wish there had been a healthier dose of 1920s London history along with it. I received a complimentary copy of The Kill Fee from Lion Fiction, but I was not otherwise compensated for this review. All writing, thoughts, and opinions are solely mine.